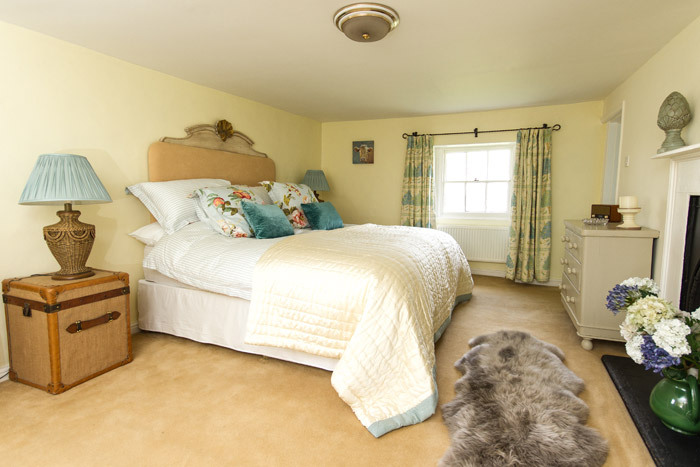 Huntingfield House has 2 guest bedrooms, one with twin beds and the other a king sized bed. 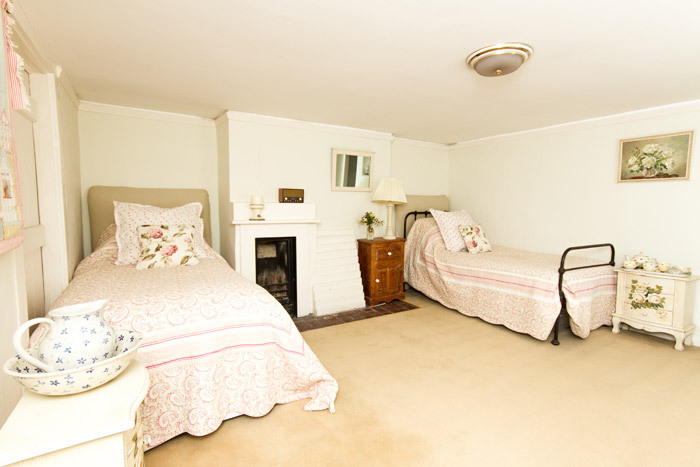 Both rooms have an en-suite bathroom with original cast iron baths with shower attachments. They have everything you will need and a little more. Fine white cotton bed linen, high quality mattresses and toiletries. Both rooms have digital flat screen TV, radio/alarm clock, hairdryer, and bath robes if needed. Fresh coffee and tea, along with home made biscuits and treats are available in your room. Bottled mineral water is available during your stay and our ultimate aim is to make your time with us as relaxing and comfortable as possible. A warm welcome awaits you at Huntingfield House luxurious bed and breakfast in Faversham. Normally minimum 2 night stay in high season. A large beautiful room in the oldest part of the house with original fireplace, ensuite bathroom and views over the Kent countryside. 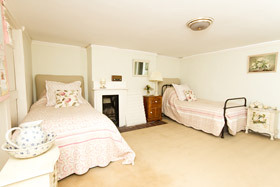 A pretty twin bedded room with ensuite. Tariff 1st Jan 2017 – all prices include breakfast.